PM Netanyahu rejected a Saudi peace initiative presented to him at a secret meeting after the 2014 Operation Protective Edge. 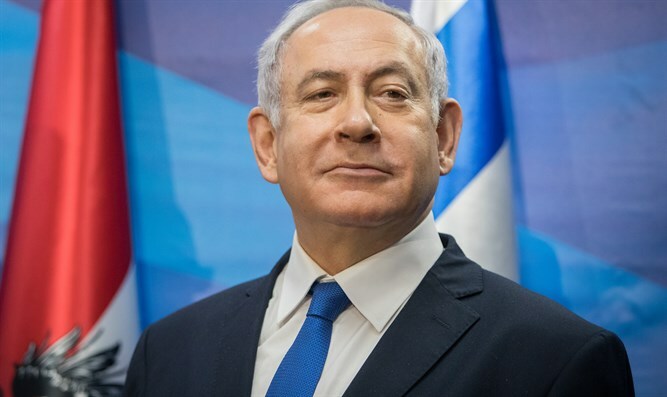 Channel 13 News’ political analyst Barak Ravid revealed on Tuesday evening that Prime Minister Binyamin Netanyahu rejected a Saudi peace initiative presented to him at a secret meeting after the 2014 Operation Protective Edge. According to Ravid, on the last day of the 2014 operation, Netanyahu held a secret meeting with a special envoy from the Saudi king. During the meeting, Saudi Arabia proposed a joint diplomatic initiative on relaunching Israeli-Palestinian Authority peace talks, rebuilding Gaza and confronting Iran. In early September 2014, according to Channel 13, Netanyahu held a secret meeting with Saudi national security adviser Prince Bandar bin Sultan. The meeting took place in a third country. Bandar told Netanyahu at the meeting that Saudi Arabia wanted to relaunch the peace process in order to be able to unite the region against Iran. Following the meeting, Netanyahu and Bandar agreed to start preparing for a summit at the UN. Sources with knowledge of the details said that in the weeks that followed, meetings were held between Netanyahu's advisers and Bandar's aides to draft a joint document. Israel presented a draft, and while the Saudis agreed to many of the points, they asked Israel to show flexibility. The sources said that Netanyahu refused to advance further and the talks collapsed.